It was Cambridge-educated Jawaharlal Nehru who knew how to deal politically with the British ruling class. Then there was Mahatma Ghandi, who attracted attention from the rest of the world -- with boycotts and personal fasts -- that helped establish India as a force to be reckoned with. Led by the two main archtects of Indian democracy, India formally gained independence following almost 200 hundred years under British rule on August 15, 1947. Every year since, the date has been marked with somber speeches, colorful parades, and celebrations in far-flung communities from New Delhi to London. This year, India Independence Day will be celebrated on Wednesday, August 15, 2018. 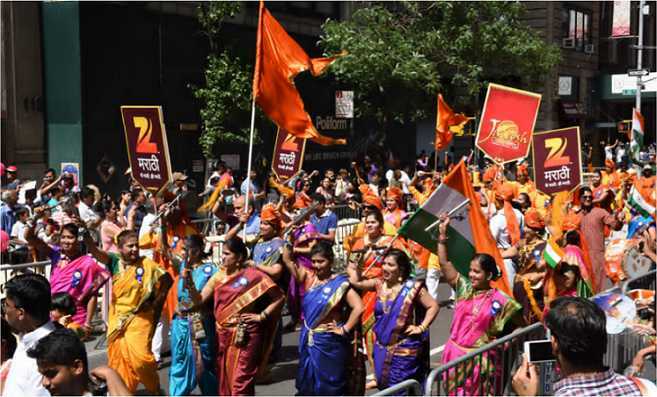 Revelers parade down Madison Avenue during August celebrations in New York City. Photo: Janoo Studio. • In addition to the New York India Parade and Festival, held on the first Sunday following August 15, two other American communities with large Indian populations also host the Boston India Day Festival and the Chicago India Independence Day Parade on the first Saturday following India Independence Day. 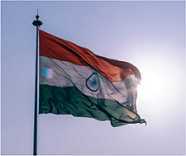 • The current flag of India consists of three colors. The saffron stripe stands for courage and sacrifice; the middle white stripe stands for for peace and purity, and green for faith and fertility. The Ashok Chakra at the centre of the flag is an ancient Hindu symbol meaning "wheel of the law". Prime Minister Nehru: Fashion trendsetter. • Early freedom fighter Annie Besant, a British human rights advocate, was a key figure in launching the Home Rule League in 1916 to campaign for democracy in India, helping to set the stage for the independence movement. • To help boycott foreign goods within India, the Bombay Swadeshi Co-op Stores were founded in 1906 by Lokmanha Bal Gangadhar Tilak. The store is known today as the Bombay Store. And the rest, as they say, is Bombay Store history. • India's first prime minister, Jawaharlal Nehru, became a style icon in 1960 when he was pictured in Vogue magazine wearing his trademark single-breasted jacket. The "Nehru jacket" became a political fashion statement throughout the West when it was popularized by the London Mod scene, The Beatles, and the American pop band The Monkees. • British actor Ben Kingsley (born Krishna Bhanji) who played the title role in the Oscar-winning 1982 film Gandhi, was of Indian descent whose paternal family was from the Indian state of Gujarat, the same state in which Mahatma Gandhi was born. Around the Web, join the celebrations and learn about the events leading up to the historic moment, and the words of inspiration that the heroes of the movement used to move their people closer to independence. Independence Day (India) - Get the complete story at Wikipedia including the events that led up to it, the major figures in the founding of independence and its aftermath, with related photos and resources. India's Freedom Struggle: Online Exhibition at Kamat's Potpourri - Check out a complete resource including historical narrative, battles, notable quotes, biographies of Gandhi, Nehru and more figures in the struggle, key events, related links, and don't miss the multimedia Mahatma Gandhi Album. India's Independence Day E-Cards - View a choice collection of e-cards with images of the Indian flag together with patriotic sentiments to send to friends and family.